Located on the 700 and 800 blocks of North Wallace Avenue, the Bozeman Brewery Historic District is one of two industrial historic districts in Bozeman. Like the Story Mill District, the Brewery District reflects Bozeman’s position as a center of agriculture-related industry. Beer manufacturing began in Montana Territory in 1863. The Gilbert Brewery in Virginia City utilized the technology and resources available to produce beer for Alder Gulch’s saloon patrons. Raw materials were deposited into the Gilbert Brewery’s second story, accessible by wagon from the hillside behind the brewery. Using gravity, brewers moved wheat, barley and hops via chutes downhill through various stages of the brewing process. As a source of cold water, adjacent Daylight Creek played an important role in the Gilbert Brewery’s beer production. The Gilbert Brewery manufactured a lager style beer, which rapidly gained in popularity after the Civil War. Lager beers depend on a type of yeast which ferments slowly and at a colder temperature. The result is a more pure beer than traditional ale. The lagering process requires consistently cold temperatures for long periods of time. Gilbert’s brewers lagered beer in brewing casks on the stone floor of the brewery. Water diverted from Daylight Creek circulated beneath and under the beer casks, cooling the beer while the lager yeast worked. The Gilbert Brewery produced lager style beer until 1904. Development of lager breweries rapidly outpaced ale breweries after the Civil War, thanks largely due to advances in transportation and mechanical refrigeration. Expanded railroad networks brought raw materials to industrial centers and enabled shipment of manufactured products to far-flung markets. Lager beers last longer in storage, enabling distribution of lager beer across long distances while maintaining quality that could not be matched by ales. In brewing facilities, mechanical refrigeration aided year-round lagering. In 1876, Anheuser-Busch began to manufacture a Bohemian lager named Budweiser in St. Louis and shipped the product in refrigerated rail cars across the country to create the first national beer brand. After three years in Virginia City, German immigrants Jacob Spieth and Charles Krug relocated to Bozeman in 1867 and established the Spieth and Krug Brewery. It’s unclear if the two worked for Gilbert before developing their own operation in a two story, clapboard covered structure where Bozeman Creek intersects with East Main Street. The original Spieth and Krug Brewery, with a Greek Revival style false-front, was replaced in 1883 with a two-story brick structure in the Italianate style at the same location. The building is now the location of Pita Pit restaurant. After the deaths of Krug in 1888 and Spieth in 1892, the brewery business was acquired by Julius Lehrkind in 1895. A German immigrant, Lehrkind had 35 years of experience in American brewery operations. The previous year Lehrkind consolidated his brewery in Davenport, Iowa, with four others to establish the Davenport Malting Company. After selling his share, Lehrkind traveled with his family and a crew of brewery workers in three special railroad cars to Bozeman in March 1895. Lehrkind relocated brewing operations to a new facility on North Wallace Avenue in order to take advantage of access to the Northern Pacific Railway, which established a spur line into the brewery by 1912. Along Aspen Street, a two story structure built of wood and clad in iron panels stamped to give the appearance of brick served as a location for sprouting the barley to make mash. The community of Dutch farmers who settled near Manhattan proved a reliable local source of barley and other grains. The grain was mechanically elevated via conveyor belt to the malting plant, which could handle three million pounds of barley. Like the Gilbert Brewery, Lehrkind used gravity to move product through the brewing process. Rather than use water from nearby Bozeman Creek, Lehrkind dug three wells beneath the site. The facility provided 12,000 square feet of mechanically refrigerated storage in which to lager beer for six months before marketing. The refrigeration rooms were lined in eight inches of cork sandwiched between thin layers of concrete to add insulation. Lehrkind involved sons and nephews in the brewery’s expanding operations. By 1899 Lehrkind opened another brewery in Silesia (south and west of Laurel), and another in 1910 in Red Lodge. The Lehrkind enterprise grew to include ice distribution and saloon ownership. To stay close to the business, Julius Lehrkind built a Queen Anne style residence across Aspen Street from the Brewery in 1897. His nephew Henry built a Dutch Colonial Revival style to the south of Julius’ house in 1908. Edwin constructed a Craftsman style residence south of Henry in 1912. These residences are included in the Bozeman Brewery Historic District and are a good example of the mix of industrial adjacent to residential uses that characterizes Bozeman’s North East neighborhood. Prohibition curtailed brewing operations and Julius Lehrkind died in 1922. The family used the brewery as the headquarters for a coal and ice delivery company. A grandson, Carl Lehrkind, opened a soft drink bottling plant across North Wallace Avenue in 1925; Lehrkind’s Coca Cola is a modern descendent of this business. The Bottling Building is the fifth and final property in the Bozeman Brewery District. Edwin Lehrkind tried to restart Brewery operations after Prohibition ended in 1933, with disappointing results. The brewery facility continued as an ice plant, warehouse, creamery and other uses. In 1948, Bozeman architect Fred Willson extensively modified the malt and sprout houses for Haynes, Inc. for use as a photographic studio, gallery and museum. The Bozeman Brewery District was listed on the National Register of Historic Places in 1986. 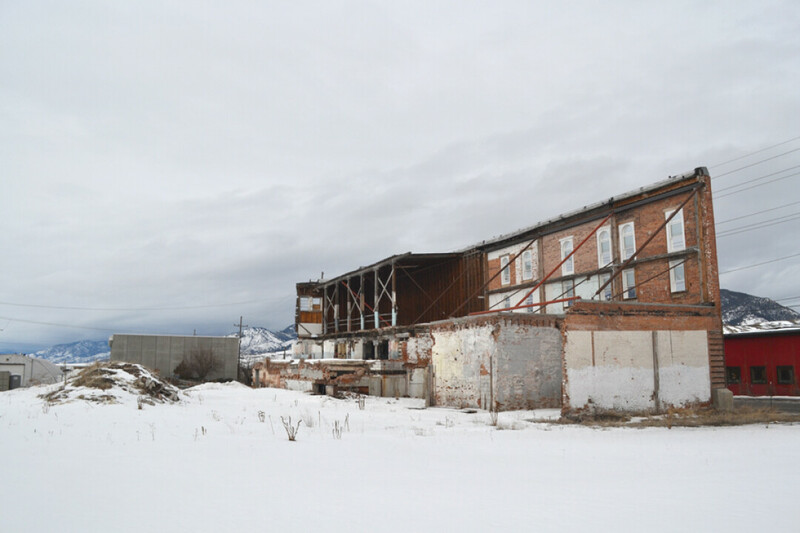 In 2007 the City of Bozeman approved substantial redevelopment of the Lehrkind Brewery. The project completed initial demolition before falling victim to the financial recession. The remaining Brewery façade was temporarily braced. In early 2014 a structural engineer found the bracing to be deficient for long term use. Under concerns for public health, safety and welfare, the Chief Building Official ordered the building be either further braced or dismantled. The property owner will dismantle the remaining Lehrkind Brewery building in March 2014.